$7.62 Winco DP-13C Lobby Dust Pan with Windbreak Cover 13"
$7.29 Thunder Group PLDP345 Dust Pan With Windbreak Cover 13"
$6.39 TigerChef Lobby Dust Pan With Windbreak Cover 13"
The Thunder Group PLDP002 European Dust Pan is great for catching dust and dirt debris. Designed with a flat surface and angled front edge, this dust pan allows you to easily sweep even the smallest dirt particles into the pan. Thanks to its easy-grip handle, this piece improves user comfort since you won't have to bend or stoop. 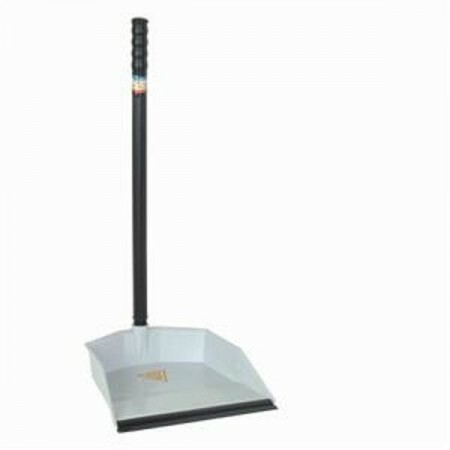 Made from high quality plastic, this European style dust pan will endure heavy duty use making it a must-have janitorial supply for commercial use.